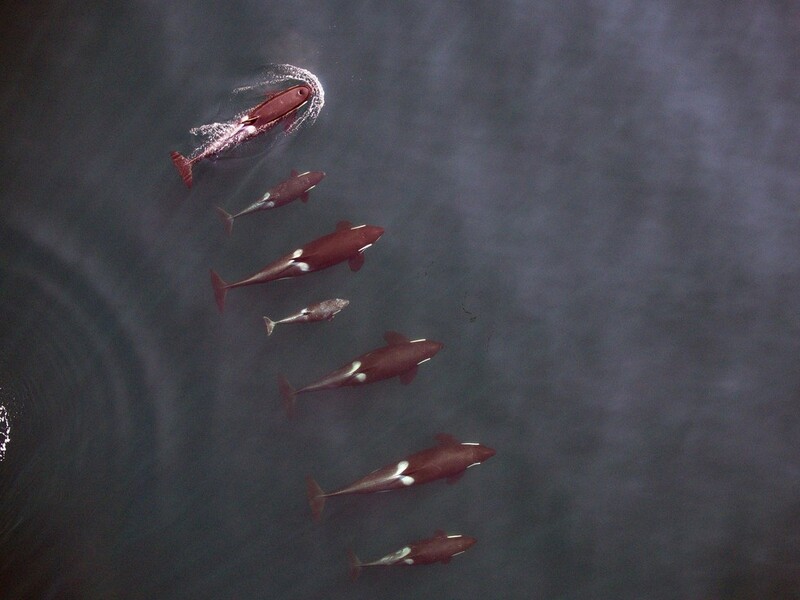 Hovering at more than 100 feet in the air, unmanned aerial vehicles have documented a wild population of orca whales for the first time. 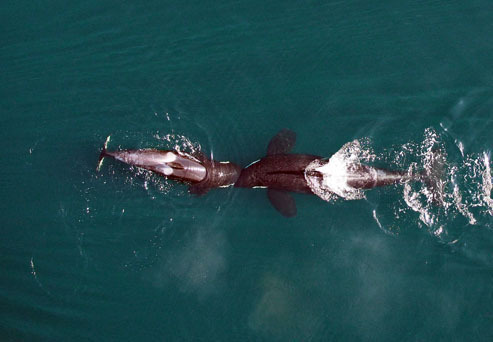 As part of a joint venture between the National Oceanic And Atmospheric Administration and the Vancouver Aquarium, drones are taking a critical look into the way wild killer whales live. 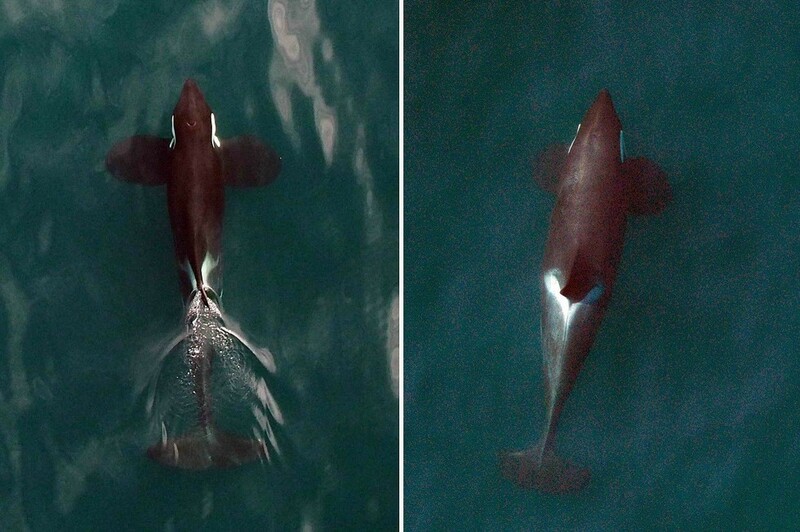 Drones have certain advantages over more traditional, in-a-boat studying methods (or viewing whales through plexiglass). Keeping the small machines above a certain threshold ensures the watched whales aren’t disturbed. So-called “snot bots” can also swoop through the mist expelled from a whale’s blowhole, to collect hormones and other biological samples from the marine mammal’s mucus.